Published in 1939, Claude Fuess’s “Calvin Coolidge: The Man from Vermont” is one of the earliest cradle-to-grave biographies of Coolidge. Fuess was a historian, author and educator who spent four decades at Phillips Academy (first as a teacher and then as headmaster). He died in 1963 at the age of 78. Although not quite an “authorized” biography, Fuess’s book benefited from special access he was granted to Coolidge’s private correspondence (by the former First Lady) as well as the personal papers of Frank W. Stearns (granted by Stearns himself, a close friend and political adviser to Coolidge). Despite its advanced age this remains one of the best-known scholarly studies of Calvin Coolidge. This biography has the reputation of being friendly to its subject and it does not take long for the evidence to support that claim. Fortunately, the author’s fondness for his subject is never heavy-handed and there is no discernible effort to conceal Coolidge’s flaws or peculiarities. Once the timeline reaches Coolidge’s presidency, however, the book becomes almost uncomfortably defensive in tone. Coolidge’s early years are covered with such care and clarity that one quickly suspects this must be the definitive exploration of Coolidge’s life. But while the biography is comprehensive and often quite detailed it is more a study of the man than a detailed review of his politics or presidency. A reader unfamiliar with Coolidge will learn a great deal about his political career, but his time on the national scene undoubtedly receives less coverage than is deserved. In many ways Coolidge presents a biographer with special challenges; his personality does not lend itself to a dynamic, engaging narrative. Yet the best feature of Fuess’s biography is the robust (if not quite colorful) portrait of Coolidge which emerges from its pages. Instead of closely following the daily political grind endured by Coolidge, Fuess focuses more on his interactions with the people who surrounded him during his life (most often his political life). Some of the book’s most interesting insights are provided by Coolidge himself. Fuess liberally quotes from his Autobiography and, with equal frequency, from correspondence between Coolidge and Frank Stearns. But the modern reader eventually wishes the author had access to a wider variety of primary sources and could have provided a broader array of perspectives. The book’s final chapter provides a lengthy reassessment of Coolidge’s legacy and a detailed review of his personality and character. Even in these closing pages there is too little emphasis on his family life; his wife finally receives a bit more of the attention she deserves but his private temperament (alleged to have been volatile) is largely ignored. But no matter your opinion of the Coolidge presidency, the author’s analysis of his virtues and deficiencies for the nation’s highest office is compelling. Overall, Claude Fuess’s biography of Calvin Coolidge proves to be a well-written, interesting and thought-provoking exploration of the life of the 30th president. Because it lacks a more detailed review of his presidency and political philosophies, this cannot be considered a perfect biography of Coolidge. But as a character study and an often-fascinating exploration of his life it is highly successful. 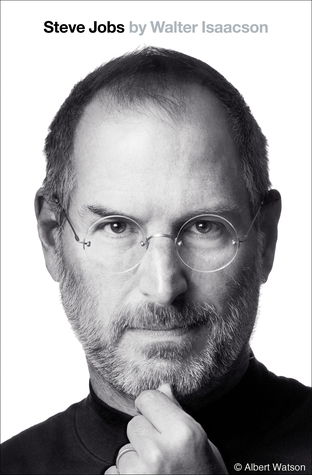 Steve, I often go to the American Political Biography press for suggestions for Presidential biographies. 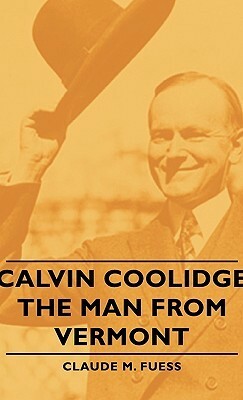 Their suggestion for Coolidge is Calvin Coolidge: The Quiet President by Donald McCoy. That’s not on your list. Just thought I would pass it along for future reference for you. Barbara, thanks. “The Quiet President” is the next-to-last bio I’ll be reading. I think (hope) I mentioned it in my intro to Coolidge, but until you pointed it out I wasn’t aware it is missing from my master list. That will be corrected!